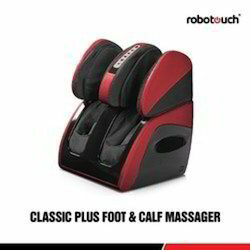 Standard Foot and Calf Massager is designed to meet its name, Luxury is truly a luxurious innovation in foot massage with unbeatable customized massage features such as automatic detection, customized massage programs and memory function massage. Strategically located buttons on the switch panel allow you to control the massage function easily. Auto shut-off feature activities after the massager has been in use for 15 minutes. 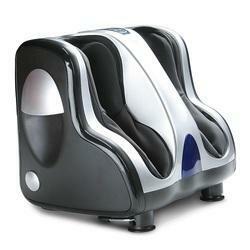 1 piece leg and foot massager, 1 adapter, 1 instruction manual. Intensity of the airbag massage can be selected manually. This Product is developed by professional product R&D team. This design is elegant and also lightweight, portable. 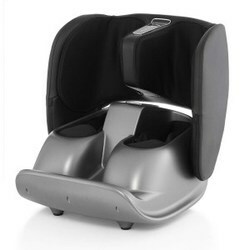 Massage mechanism design enables to enjoy the professional leg and foot massage at any time. 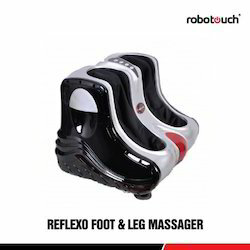 Just like bringing a professional massagist home, you will enjoy an ultimate relaxing massage on your leg and foot while watching a TV program, or before sleep. Double safety protection makes you feel secure when using this product is overheating or the current is overload, the circuit will break off automatically, This double protection is safe and reliable, ensure you to enjoy the massage joyously and carefree. Equipped with a double sensitive touch panel.